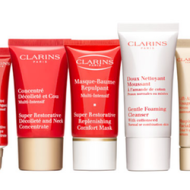 For a very limited time, Clarins is offering a Free 9-Piece Gift Set when you spend $50 or more. 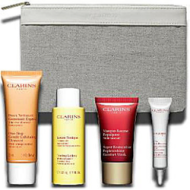 But, this is a “mystery” set, so you won’t find out exactly what products are in it until you get your free gift. 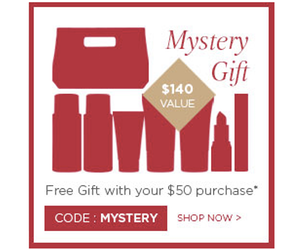 This “mystery” gift set is valued at $140. Simply enter the code below at checkout to receive your free gift. 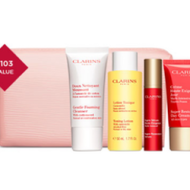 This offer is available until July 31, so claim your gift now before supplies run out!